Thanksgiving is one of the most sought-after holidays of the year. That is, we spend all year waiting for that day to stuff our faces with our favorite foods, while simultaneously spending time with our family and friends. 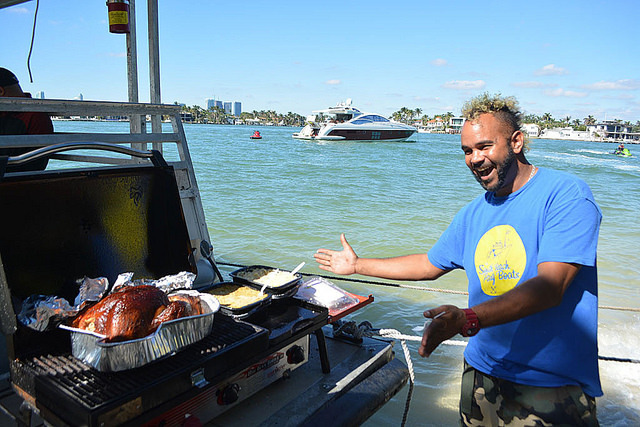 Whether you’re having a Friends-giving or a traditional Thanksgiving Dinner, South Beach Party Boats has created a Turkey Day Sail that will turn Thanksgiving this year into something new. 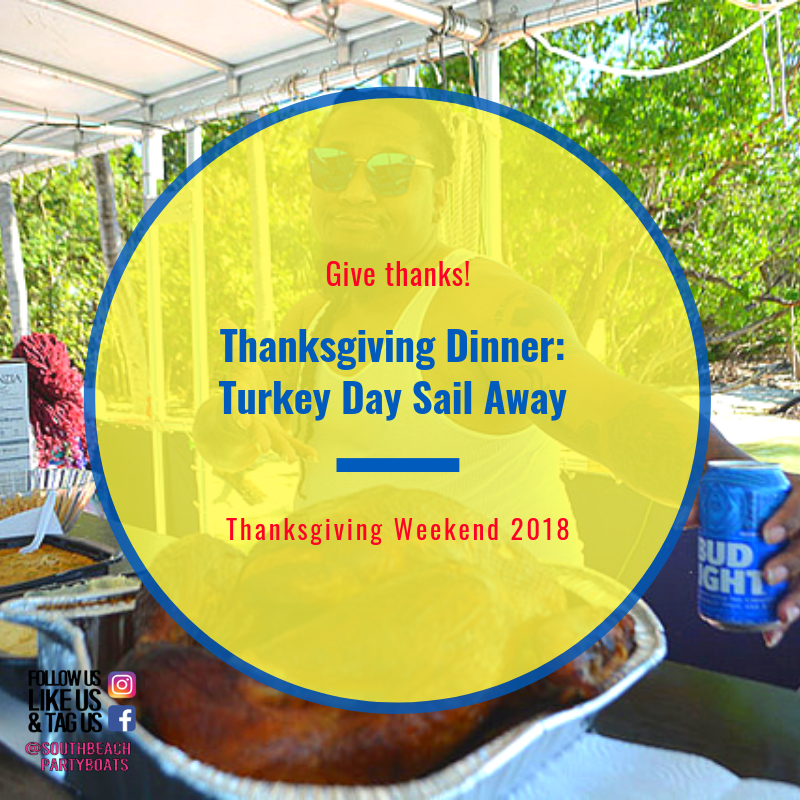 This year, guests who book a trip on Thanksgiving Day on November 22, will enjoy turkey dinner on the Island Party Boat. 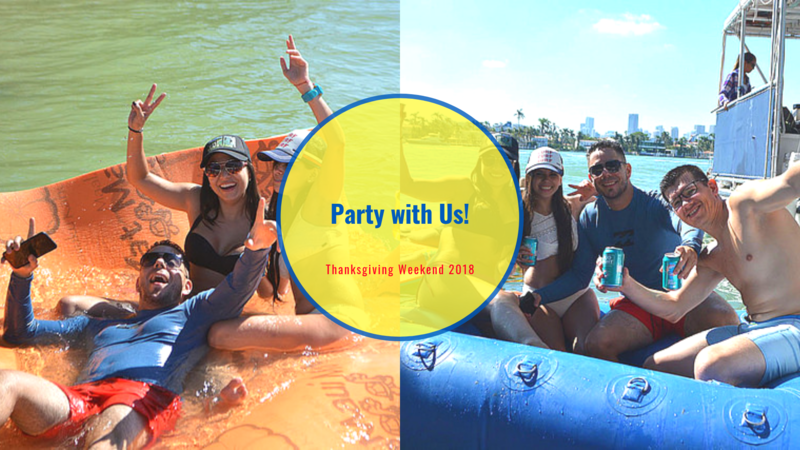 With all-inclusive beer, wine, sodas, snacks, water toys, and a great Thanksgiving menu, it’s The Best Party on the Water! Book Your South Beach Party Boat Trip Today!